When moving to Thailand, Health Insurance is considered by most Expats, a necessity. Arriving from countries where there is a national medical provision and support, leaves some people confused as to what the costs, procedures and requirements are for Medical Treatment in Thailand, which hospitals to go to, never mind which are the better recommended. To help you in this process, we provide you with unbiased information and support. There are a variety of plans and budgets to suite all persons. There are some people whom prefer to self-insure. There are dangers in proceeding down this road, particularly when major medical procedures are required and costs involved. Some procedures may not be carried out until a large deposit is paid to the relevant hospital. This could in turn effect one’s savings / safety net severely. The premiums that we quote are the same as going direct to the relevant Insurance company .We provide impartial and independent proposals, so that you can select the Medical plan that suites your needs. One can choose between having only an In-Patient only cover or have it coupled with Out-patient cover. In-Patient is for when one gets admitted for a medical procedure for a minimum of one night. Out-Patient is for when visiting the accident emergency department for same day treatment and you go home. Keep in mind that MRI scans, X-rays, blood tests are considered as an Out-Patient expense, unless it is linked to an In-Patient admittance. In Thailand, most expats opt to pay for their Out-patient expenses due to the low costs they incur. A list of the major hospitals in Bangkok, Pattaya, Chiang Mai, Khon Kaen and other areas in Thailand and neighbouring countries, is available upon request. This list will vary accordingly with the different Insurance companies. Whether you are 25 or 73 yrs old, Self Employed, Retired, or working in Thailand, Cambodia, Laos or Myanmar you can still obtain International Medical cover, giving you peace of mind. A work visa is not required to obtain medical Insurance in Thailand. Most Insurance companies base their premiums on an average of a 5 year band. You may incur an annual increase, but will definitely incur when you change age bands. The older one gets, the premiums get more expensive, but this can be offset with a high deductible and should the company provide, a no-claims bonus. We will advise you of the most appropriate and affordable Medical Policy to meet your requirements and concerns. Pre-existing medical conditions will be considered on a case by case basis, by the underwriters of the respective Insurance companies. It is best to declare any current or previous medical conditions. Failure to do so, could result in your policy being cancelled or even worse, having your medical procedure expenses declined by the Insurance company. 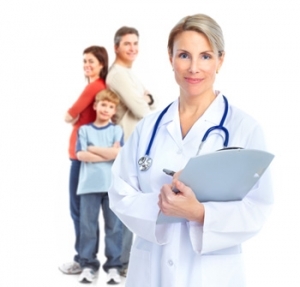 Most Insurance companies request medical your history over a specified period of time. Should you be in doubt, discuss this with our broker. Should you relocate often between countries due to work assignments, there are portable Health Insurance policies that provide worldwide cover. This takes away the stress of re-applying whenever you resettle / relocate in a new country and having previous medical conditions excluded, yet still having access to Professional and quality International medical treatment. Should you in the future relocate back to your country of nationality, it is possible that the policy will remain active. USA & Canada, different rates apply. Please enquire from our consultant, should this be a possibility. Through our featured Insurance company providers we can offer a range of products from a basic Emergency and Inpatient only Plan, to full comprehensive Medical cover. Our recommendations will be made to meet with your requirements and will cover virtually all medical situations and emergencies. Cost effective In-Patient Only plans are a popular request amongst the Expatriate Retiree community. These plans cover both emergencies and major medical situations. Moving from company to company due to premium increases as you get older, is not in your best interest. This could result in you having previous medical procedures excluded under the new policy. We will best match the Insurance Company with your age, conditions and requirements in mind. 50 yrs ……………….. $ 2,400.00. Premiums and plan cover levels, vary from company to company and geographical area of coverage. Lower budget plans are available upon request! □ Simply click here to speak to our Consultant and our contact page, for a more personalised proposal. Group Health Insurance schemes are becoming a key factor in retaining your best staff and enticing new members to your company. Ensuring your staffs wellbeing is also vitally important in the company’s progress and growth. The times of employers providing basic and cheap options, are becoming something of the past as staff members realise the importance of having sufficient healthcare Insurance for their needs and possible their dependants. Group schemes can be customised, providing various levels of coverage and options for staff members, depending upon your company’s requirements. The Company Group scheme must consist of at least five or more permanent staff members. Family dependents of the Group Members are often added to the Group Scheme. For group schemes of 50 persons and above, special rates apply. Should you have a Group Scheme already in place and is in need of a revisal and possible changes, we look forward to being of assistance. □ Simply click here to speak to our Consultant and our contact page for a more detailed and personalised proposal.